HEDERA 117 is a performance 11.7mm static line with a unique construction of a 48-strand polyester cover and a braided nylon core. The blend of polyester and nylon helps provide a greater range of chemical resistance over traditional 100% nylon constructed lines. The braided core bends more easily offering less fatiguing which makes for a better knotable line and better control through mechanical ascent/descent devices, as well as increased strength. 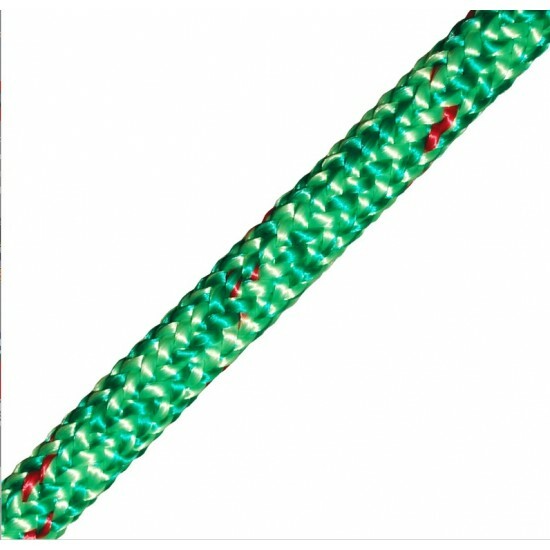 In the event of a cover failure, the rope core will remain intact, allowing the user to ascend/descend over the core to get back to a stable portion of rope. Very few life rescue lines offer users a braided core technology. The core undergoes steam stabilization during manufacture which enhances the lines flexibility and prevents hardening during service. HEDERA 117polyester cover repels water far more readily than a traditional 100% nylon constructed line; this rapidly reduces drying time of the line as the polyester fiber used in the cover are non-hydroscopic. The ability of the outer sheaf to shed water reduces the capability of it becoming stiff when wet, allowing it to run through mechanical devices with ease.